I took a full month off and Mixergy kept going as if I was here. I had my first child and while I spent time with him, my interviews kept getting published. Customers were taken care of. And my audience grew. It’s all because I applied what I learned in past interviews about how to systemize my business. Well, I wanted to learn more. So I emailed one of my past interviewees, Sam Carpenter, and I asked him if he’d let me interview one of his star pupils so you, my audience and I could keep learning how to organize our businesses so they could grow without burning us out. Joining me today is Timothy Francis. He runs a consulting and do-for-you business that helps small businesses increase their traffic, get more leads & grow sales by using marketing tools. Timothy Francis runs a consulting and do-for-you business that helps small businesses increase their traffic, get more leads & grow sales by using marketing tools. I was able to spend time with my child and my wife and just really no worry about things and know that everyone was taken care off, my customers, my consultants, my employee here, everyone was taken care off and the business kept growing and I am such a fan of it, I want to learn more and I want to get even better at systems and organizing my business, so to do that I emailed one of my past guests, a man named Sam carpenter who runs a call center and wrote a book on systems called work the system, and I said Sam, could you introduce me to one of your top students, someone who read your book, internalized it and used it, I want to talk to them, I want to learn from them and Sam introduced me to today’s guest. And now you and I are both going to be learning and growing our skills so that we can systemize our businesses and have them work without us, grow without us, either so we can take a vacation or more likely, so we can spend time on new opportunities. So today I have with me Timothy Francis, he runs a consultancy and do it for you, business, that helps small businesses increase their traffic, get more leads and grow sales by using marketing tools. I invited him here to hear his story and it’s all sponsored by Scott Edward Walker of the Walker corporate law, I will tell you later on, why if you need a lawyer and you’re in a lawyer you should check out walkercorporatelaw.com, but first I want to welcome Tim, thanks for doing this. Tim: It’s really great to be here, Andrew. Andrew: Before you started organizing your business you got hurt, what happened? Tim: There was a period, Andrew, when I was a touring rock drummer, which is a lot of fun but people don’t realize so much business work there is behind the scenes to get sponsors and do all the other coordinating of touring. I also have owned four properties which valued around a little better than a million dollars so it’s kind of a weird mix, drummer by night, real estate investor by the day. I also had a mentor who was teaching me the ropes of business and all of this led to me working 70 to 80 hours a week, it was a huge-huge workload, so my body is being pushed to the limit, furthermore [??] fell apart, that 2008 economy, the real estate bubble burst, I had to sell everything like my life depended on it and I barely escaped bankruptcy [??] scary experience. Until this day doctors don’t really know exactly what caused it. I suspect some degree of stress had something to do with it and I ended up getting a disease called [??] condition I guess and I couldn’t walk for three-four months. So, there I was at 20 years old, 27 years old, whatever age I was and I was confined to a bed. I actually had to move back home in the full time care of my parents. I basically, couldn’t brush my teeth. It was very difficult to even stand; my mom had to make a rubber made [??] in the shower for me to sit on just so that I could bathe myself. Andrew: Tim, I feel bad hearing all this, but is the problem really that you just had a bunch of bad luck or did being disorganized and un- systemized have anything to do with this? Tim: Well, it was a part of my process. Andrew: What do you mean? It feels to me like this is just bad luck everybody has it, it happened that you had a perfect storm of all of it hitting at once, but from what I understand from the pretty interview you did with [?? ], it is a process issue in addition to a bad luck issue. What’s the process how did the process or lack of it, influence what happened? Tim: Yeah, I mean the entrepreneur’s journey its … We give it your best and then [??] comes in your [??][??] Your control and it’s not so much what happens but how you react and I know that when I laid in bed for that time I just realized, Okay, I need to get better. I am the only person who is going to get me out of this. So, that’s what led to me starting my marketing company, TimFrancisMarketing.com and working in that business is what allowed me to learn about systems. Andrew: And, you were saying that you were working 80 hours a week before you systemized. A lot of people see that as a badge of courage. What’s wrong with working 80 hours a week if you’re an entrepreneur who’s managing real estate while you’re living your dream as a drummer in a band? Tim: Well, if it works for someone, if you’re happy with the results in life in any area, relationships, or money or business, keep doing it, right? Andrew: One of the problems that I’ve seen here, I’m going to jump in because, and you tell me if I’m wrong, my issue is that I used to see myself as an energetic guy who can do anything, and I wore my 80 hours plus a week as a badge of honor, and I thought everyone else was a chump for not being as into their work as I was and they weren’t as strong as I was and that is why they aren’t where I am and I’m going to keep crushing them all. What I realized was my 80 hours were often wasted hours at the office where I was just putting time in, even though I didn’t realize it. What I realized was that by getting better at doing the work myself, and not getting at all good at delegating it, at organizing it, so things made sense and worked even when I wasn’t there. I wasn’t building a company, I was building a glorified job for myself. And this was back when I was building a multi-million business. We’re not just talking about a guy in his company trying to do everything himself. The problem I had was, if I needed a break, and I know I needed a break, things would fall apart. If I needed to focus on something else, the business just stood still. And frankly, that even happened at Mixergy. I did the editing, and I was so proud that no one could do the editing faster than me. I swear to you, I could do editing of a whole interview in under 10 minutes. I posted the interview anyway. That’s the problem that I had. That’s a challenge that you had as you were going into the new life. One of the solutions that many entrepreneurs jump on is the idea of a virtual assistant. They said, “Oh yeah, I read ‘The 4- Hour Work Week.’ There are all these virtual assistants all over the world. They work for nothing. I’ll hire one of those.” What’s the problem with just doing that, and hiring a virtual assistant, and boom, problem solved? Andrew: I edit. Go edit. It takes me 10 minutes, you should do it in 10 minutes, or worst case, because you’re working in an environment where I can only pay you two or three bucks an hour, take an hour. The problem I’ve had is they don’t know how to edit. I can’t just tell them how to edit via screen share. I need a process that shows them how to edit, that makes sure that if they’re lost, that I correct them and then improve the process for when they move on. Frankly, these guys who are getting paid very little don’t stick around for a long time. Is that the same issue you had? Tim: I think that to have a checklist or to have a process actually isn’t enough. I learned this through the training I took through Work the System. You really have to give people guidelines as well. Because, if you want to try and create a checklist for absolutely everything, you will be a slave to making checklists. There’s no possible way to foresee every curveball and contingency. So, that’s where the decision-making guidelines is what he calls them in my company with my clients, is really the savior. Andrew: So, decision-making guidelines, in addition to systems, this is one of the reasons I wanted to have this conversation with you. For me, the step that I got to was, everything is clearly documented. If it’s going to be repeated, if it’s important to the company, it’s documented. Screen shot, with an explanation of the step. Step 1: Explanation, Screen Shot. Step 2: Explanation, Screen Shot. It’s all in Google Docs. You take it a step further and you have decision-making guidelines. Before we go to the step beyond, I’d like to understand how you document your system. Is it all checklists? Tim: Yeah, if you want I can share my screen. I can show it to you if you want. How deep do you want to go? Andrew: Why don’t you just scribe it and then maybe there’s a way for us to show the screen shots of what you’re doing to the audience afterwards. But I want to make sure the people who are reading this in the transcript are listening, can follow along. So, what do you use to document? Tim: Okay. So, very simple. Straight up, we use Google Docs for creating all of our written documents. Tim: … It’s not a procedure or a system, it’s a reference. Andrew: Gotcha. So a year from now if you’re invited to speak to the same group or do the same kind of presentation, you know how effective it was before and it gives you an understanding of whether you should do it again. That’s an R document. You don’t put that document together. Or do you? Andrew: You don’t. So you have a system document, that’s an S document that you hand a virtual assistant, and you say, here is how to put together all the data that I will need, into a reference document. Is that right? Andrew: Why? Why do you prefer teamworkpm.net I think, right? Tim: … It just works. Tim: Why do I use a Mac and not a PC? It just works. Okay? Andrew: Oh wait, now they own teamwork.com. Andrew: Yeah, sorry. They were an old sponsor of mine and I’m just used to going to TeamworkPM… and anyway, now it’s teamwork.com. How about one reason why you prefer Teamwork to other Project Management software? Andrew: All right. So when you say you have a checklist, it’s in your Project Management Software that you have a checklist of steps the people need to take, in order to do a task. Then you have a system document that explains what each step is like. Is that right? Andrew: Find [??] document with that name. All right. I think we might be getting a little too detailed for someone who’s just entering this interview. Why don’t we give a quick win to someone who hasn’t systemized their business yet. Who realizes that what they’re spending time on is often, $10 an hour work, that should be assigned to a virtual assistant so they could free themselves up to think bigger picture. Why don’t we think about, what is the first thing that someone who wants to systemize, can find to systemize, so that they can get that quick win? Tim: I think I was so excited about systemizing I did it at the wrong time. So right off the bat, if you don’t have a business that’s making some money, then it’s not the time to systemize. I’ve actually coached a few other entrepreneurs to follow in my footsteps. And before I do anything, I give them a handful of decision making guidelines on how to think about their own business. And one of the posts is let demand drive decision making. Tim: Right. So if I’m going to sit here and say, oh, you know, I’m going to start a business that’s going to be podcast and that’s going to interview entrepreneurs and about their start-up experiences to share with the world through iTunes. Sounds familiar, right? And if I say, okay, great, I’m going to have three staff, and I’m going to have to have these procedures, and I’m going to have a pre-interview call and so on and so forth, wrong time to do it. I mean you need to go and do the business first for a bit and figure out what’s actually necessary. Because the real insight in business, and this is true with marketing or anything else, is you don’t know what’s actually going to sell. You don’t know what’s actually going to be needed. You don’t know what staff you’re going to need until you’re actually in there doing it and getting feedback from the real world. Andrew: Gotcha. I see. So for me to have sat down before I started Mixergy and create a checklist for my interview, we would have been too early. What’s better is what we did end up doing which is seeing, you know what, a lot of people have this weird backdrop behind them. Like a big window with a lot of light. They’re very proud to show what’s in their window. No one can see it because webcams start to darken up when there’s heavy light behind them. We need to add an item to our checklist for guests that says, do not have too much light behind you. That is where it comes from. Wait till the problem comes up, till the demand comes up. Okay. So you wait for the demand. There are lots of things at some point that an entrepreneur looks around and realizes that he is doing, that he should be passing on or that are just becoming a distraction. How do you pick them? For you, it was an 80/20 curve. Andrew: An 80/20 decision. You were looking for, what was it? What’s the 20% that gets you 80% results? Tim: In college we’re taught the bell curve like this where there’s averages. Hats off to Perry Marshall for teaching me this is the 80/20 curve looks more like that where most doesn’t really make a big difference, and a few things make a huge difference. Tim: And that’s how business runs. Not on averages, it’s an 80/20 curve. And so sometimes an 80/20 is how much you hate a task. Sometimes it’s how good or bad you are at a task. Sometimes it’s how much time it takes. Sometimes it’s how much money you make doing it. And so if we’re going to take 100% of tasks and just theoretically put them across the x axis here and realize, hey, the 80/20 that’s over here, that might be for me now with Tim Francis Marketing. Something like speaking at a marketing talk which I give once per month at the Hilton Garden Inn in Evanton live in person. And in doing that talk, if that’s the marketing project or campaign, what is the 80/20? Well, me picking the topic, me writing the copy and me showing up and speaking. That’s it. Everything else on that 80/20 curve is down here. So for example . . .
Andrew: 80% meaning what gets you the most results. What is the little bit of work that gets you outsize results. And for you, it’s giving the talk. Is that right? Tim: Giving the talk, picking the topic . . .
Tim: . . . and writing the copy that goes out. Then from there, my team, notably my assistant, she will take the copy and go into Infusionsoft and set the broadcast and send it out. She will take the copy, put it onto a postcard, send it off the UPS store, where they will hand address all the different postcards, print them off, add postage, and send it out. She will be the one to update the meetup.com page with all the information. She will be the one to call everybody on the list. She will be the one to text message everybody. Andrew: Well, what’s the difference between all those tasks and writing and giving the presentation? Is that you’re looking for the things that only you could do. Only you can actually give the presentation and everything else should be passed on to someone else. Is that what you’re doing? Tim: Originally, that was not the case. Originally, I did everything just like with Mixergy, in the beginning you did everything. Tim: Okay. Then I hit a ceiling. And I said, okay, I need more time. I’m making some money. What is at the bottom 80% that can easily be passed off? Tim: That if I pass it off, I can go and do higher value work. And this is another thing, Andrew, It just isn’t happening because I don’t have the time to do it but I really want to and I think it would make a big impact on my business. Every month that was going by, I knew that I would get more people if I called everyone on our list, but it wasn’t happening because I was too busy. That’s the other thing. Andrew: Gotcha. So, what would get you results but is not happening because you don’t have the time? That’s one question. What’s another two questions that we could ask ourselves if we’re looking for the very first thing that we are going to systemize? Tim: It depends how much money you’re making. At this point, basically anything that is less than $50-$100/hr I am very quick to systemize or outsource and I think that is worth thinking about. Also, when I’ve coached other [?] on how to follow in my footsteps, I also ask them “What are the B.S. tasks you just absolutely hate, hate, hate doing?” because you only live once. Andrew: So “What are the B.S. tasks you just absolutely hate doing?” One of those for you would be negotiating a meeting? Tim: Right, yes. That’s not for the marketing lynch, but another thing I really despise is the back and forth of finding a meeting time. Our common friend, Antonio [? ], and Ryan Masters both suggested that I check out Schedule Once. What I always eliminate first are whatever tasks that don’t need to happen. For example, I have some clients who do not even look at the marketing reports that I send them. So, I asked them, “Do you even look at these things?” and they said “No!” so, then I realized there is no need to automate that with software or to systemize it to have staff do it. Andrew: So just get rid of it? Tim: Just get rid of it! So, eliminate is always the first step when I’m considering a task. If it has to be done by someone or something, then we think about computers. How can we have computers take care of this? For example, automating PDF invoices that go to declines. Thirdly, if elimination or automation is not possible, then I will create a system or give my staff instructions and they will go create a system. That’s something we should discuss at some point, the system for making systems. Andrew: Okay, “system for making systems,” we’ll come up with that in a moment. So, that’s what we are looking for. If we are starting out, we pick something that doesn’t get done but is important. Then we look for things that keep getting done but are just B.S. tasks. Those are pretty good places to start. So now it’s time to systemize it. What do you do? Do you just sit down and say “How do I do this” and write a step-by-step guide for yourself? Tim: In the very beginning you have to put a few key pieces in place. One of which is my S002, which is the procedure for making procedures. That outlines everything from we will use Google Docs, here is a sample of what it looks like, I mean this procedure is actually an example of what it looks like, we can use screenshots in certain circumstances or video examples. Basically, you just have to outline exactly what a successful procedure looks like. Andrew: Let me suggest this, Tim. For the very first person who is doing this, I don’t know that they should create a “system for creating systems” yet. I would suggest asking what is one thing that is done over and over that doesn’t necessarily touch the rest of the business, so it’s kind of isolated, that I can just document. I would suggest doing it and writing down what you’ve done, do it and write down what you’ve done, then you have a step-by-step list. Tim: Yeah, I think that’s good. I think one thing to be aware of is that it’s ok if you do a screencast of what you do. I said earlier to avoid screencasts but you don’t necessarily have to. Say, if your staff is going to create a procedure and they have been discouraged from using screenshot, you can still use screencast when you demo how to do the task, then pass that screencast on and let them convert it into text. Andrew: Gotcha. That’s even better. Instead of me doing a step and writing it down, doing and writing, and so on, you could just screencast it. You could use Jing, Screenflow, Camtasia, tons of different programs that will record what’s happening on your screen. Just do it, talk it out loud, and then have someone turn that in to a step-by-step guide. Tim: Yeah, I think once business owners are making a few dollars in their business and they know they have something real on their hands, because a lot of people get caught in the “kool-aid” of get-rich-tomorrow, it doesn’t have to be millions, but even a part-time living. You really need to start looking at yourself differently. You really need to start realizing that even if you can do something and have the time, like editing a video you were mentioning, Andrew, you really understand you are worth $50, 100, 1000 an hour, whatever that number is. And even it takes a virtual assistant that you’re paying $15 an hour even if it takes them three hours to do something that would take you one, that is $45 an hour that you personally could have, if we’re eliminating all tasks that are $15 an hour or less, it still saves you one hour of your time of $50 an hour or more. So you really just need to start understanding that your role is changing. One of the best quotes I ever heard, one of my mentors is a guy named Steve Krall (? ), young guy, and he said your role is to figure out how you can make yourself expendable every six months. How can your role be eliminated because everybody else is doing it or computer systems are doing it, and that’s a challenging question to ask. Like for me this is something that recently, Andrew, I thought I would never give up the copyrighting in the business, ever, ever, ever, because it’s just such a crucial, crucial task. I had a bit of a flu a few weeks ago, and I realized that where I’m letting demand drive decision making the spinning place that we were falling while I was sick overwhelmed the copyrighting because I wasn’t writing the copy for the email sequence or whatever for clients and for our internal FrancisMarketing. And I realized, oh my goodness, this is another step where I’m now actually going to hire copywriters, right? Andrew: So I understand how you can systemize booking meetings by using software like schedule ones where you just plug in your available dates and then you pass the link to someone who wants to meet with you and they can pick the dates that they want. I understand systemizing editing where you can write a step by step guide on how to edit an interview and pass it on to someone else. There’s not that much creativity involved in it. What about a job like copyrighting where there is a lot of creativity? Do you just hire someone and say, “You’re really good at this. I’m just going to trust you’re going to get it right?” or do you systemize it? Tim: It hinges on two things, Andrew. Let’s say two and a half things. So the half thing is who you hire, and I have a hiring procedure that people have to kind of jump through huge hoops, and it makes sure they’re the right kind of person in the first place. Tim: We need to talk about that later, but the main thing that I would say is, “A big mistake that people think is over-estimating their importance, okay? I may have offended a few people here, but like even a world class copywriter, not every step in the copyrighting process is a $50 to 1000 an hour type task. Like if part of my process is to interview a few people in the target market or to go on Amazon and look at reviews of books and pull copy out of there or any of these tasks. When we take the big task of copyrighting and we break it down into all of its component tasks, you realize there’s only about, I don’t know, maybe 10 to 15% of the actual copyrighting process has to be done by the skilled copywriter. And the other, scheduling interviews, maybe even doing interviews, asking its template questions, doing other online research, all of that is actually $10-15-20 an hour type work that can be . . .
Andrew: Even the research that goes into writing your copy can be outsourced, I see. So you don’t sit down and say, “How do I write a great email?” You do a little bit of research, and that involves going into Amazon and doing what? What kind of search would you do there that you could pass on to someone else? Tim: I mean, I could . . . So a lot of my clients are offline brick and mortar, right? So when we’re selling a company in Alberta, Canada, we’re not necessarily going into Amazon, but we may go on to forums. Like every city usually has, believe it or not, forums of people who talk about upcoming condos and what not. Andrew: I had no idea. Tim: Yeah, we may talk to realtors, okay? We may talk to the client themselves and ask them what past projects of what they’ve sold, okay? So that same information gathering is happening even offline. And so I can have staff go and do some of that research, right? Tim: So my point is if copywriting is a $100 an hour project or a sales letter, for example, I don’t have to be the one to do all hundred. I could do maybe hours 80 through 85 or something like that. Tim: Okay. Now secondly as far as copywriters it’s giving them decision making guidelines, right? I actually give them some step by step procedures, and I also give them some decision making guidelines. So for example, because it’s so creative, I’ll say your headline must have hook plus benefit. Okay. So I’m not saying the headline needs to be, you know, when I first sat down at the piano, they laughed at me. You know, but then I started playing. Right. The classic headline. Tim: Or how to win friends and influence. I’m not telling them what the headline is because they are creative. Right. And that’s their role is to be creative. But I’ll say, we must have hook plus benefit. We must have relevance plus value to the target market. And then I’ll give them who the target market is. So we’ll create a brief. I think a great example, Andrew, is 99designs. We’ll go to get a logo done through them. That’s a very creative process, but they give you, like, sliders. Traditional versus modern for my logo. I want it to be masculine versus feminine. Here’s a template. Andrew: I see. So when you create a brief in 99designs asking for a logo, you are not giving a step by step instruction . . .
Andrew: . . . to designers telling them what colors, where to place them, etc., you are giving them guidelines. And that’s what you’re talking about when you say, look, there’s some things that you can’t create an absolute checklist for, and where you can’t do that, decision making guidelines come in. Got it. Tim: And there’s always a mix there too, because I can say to the copywriter, I can say to them, I can have a checklist to say we have the brief done, this is the deadline. I make sure I’ve got a cell phone and email, and whatever backup information to reach the copywriter. Someone I can text. Right. So I’ve got a whole checklist for how I manage the copywriters and how much staff interacts with them. So it’s never like, oh, creative stuff is only guidelines and rote stuff is only checklists. It’s you’re free to flow between both. Andrew: What about the idea that when someone gets really good at something because they do it over and over again, they don’t go back and look at a checklist. They don’t want to look at a guideline or a system document. They just do it. And when they do it over and over again without using a checklist, naturally some steps get forgotten. And you don’t notice that they’re forgotten because you’re running the rest of the business. How do you make sure that the systems are used? Tim: There’s another great book I recommend named Checklist Manifesto by Atul Gawande. He explains there’s two main different kinds of checklists. There’s read, do, like, I read the item like a recipe to cook something, I read something, then I go and do it. Tim: I read the next step, I do it. And when you are first learning how to use checklists and how to do a procedure, it’s very much read, do. The other kind is do, confirm. And so nurses in hospitals in surgery won’t sit there and say, you know, insert line into patient. Okay. Hold on. 60 seconds. I need to know, go and check the read, do checklist. Like, it’s never going to happen because they’ve done it so many times like you say. So using a do, confirm checklist, pilots do the exact same thing where the three to five steps that are already memorized and then a pause point. So the nurse or the pilot can go and do those five things and then have a pause point to come back and just confirm that they did all five of those things, maybe check them off or whatever. Then they’ll go do the other five memorized tasks and come back. And, I mean, you know what, Andrew, part of it also is who you hire in the first place. You need to hire people who are onboard with this idea of procedures and systems. And again, I’m able to talk about how I find those exact people. Andrew: But, I see what you’re saying. So that’s why this systems document walks people through how to do things step by step, when teamwork.com has checklists of just the milestones. And so if I were going to do, is that right. No. You’re nodding but I’m sensing that I’m missing something. Tim: I think that as people would start doing what we’re teaching here, it would just become apparent. I would say you’re probably right in saying teamwork is more do, confirm. Yeah. I agree 85%. That’s my answer. Andrew: Okay. That does become an issue. I mean, frankly, even for myself. We do courses on Mixergy and there’s so many steps involved in setting things up so that every item is ready to go when the course leader comes on. I find myself going through the checklist because there’s so many steps I can’t remember it, but I also occasionally will leave out a step. Like the step that I leave out is tell the rest of the team that I’ve recorded it. Andrew: And if I’m leaving it out because I’m so deep in the process, I’m imagining that other people would leave out things in their systems. You know. Tim: Right. Can I speak to that? Andrew: Yeah. What do you do about that? Tim: So in TimFrancisMarketing, my clients look to me for recommendations on advertising. My clients are selling from, let’s say, from four to $40 million buildings. They look to me for recommendations of where should we allocate this $50,000 worth of budget from a billboard or into a magazine or a print ad or a newspaper or Google AdWords or something else. And if I make a wrong recommendation, Andrew, this is not like missing one affiliate sale or something that might be a smaller consequence. This could be missing out on a $5 million worth of sales. Tim: That makes my heart beat a little faster. So I can’t have my staff making mistakes. And so a couple of things we put in place, maybe this is helpful to you, is to have a second set of eyes, is to have a second staff member do the exact same report. So I’ll have two people do the same report side by side, and then the last step in the procedure is to compare with each other. And if there’s any discrepancy then they have to figure it out, right? Tim: So if one has missed a step, it becomes apparent, right? Andrew: So that’s something we’ve discovered too actually. I can’t monitor people to see if they’ve done every step, but they’re key things that are important that tell me if most of the steps have been done, if not all of them. So, for example, I can’t make sure that we found enough guests five months ago so that we had a guest today for me to record with. And that we’ve pre-interviewed them and so on. There’s just too many steps in our interview process, pre-interview find et cetera. So what we’ve done is we said, “What are the two or three key numbers that tell us if everything else is done and they are. How many guests were at the top of our pipeline last week? And how many weeks ahead are we booked with interviews? And if we’re not booked ahead four or five weeks, then it means there’s a problem and we need to get more in the top of the pipeline. If we don’t have enough at the top of the pipeline last week, it means it’s going to cause a problem in the future. And so I have someone who’s not involved in the rest of the booking process check those numbers week after week and send me and send Ann Marie an email, saying here’s where we are and that tells us whether we’ve done it or not. For interviewing and posting each interview we have a virtual assistant from Virtual.com download the interview, check out the audio file. And if the wav file looks like it has really high peaks and really low valleys, it means that the audio wasn’t edited right. And so that tells us that the whole editing process needs to be redone. So stuff like that, I guess, has helped, and that’s what’s working for you. Tim: Yeah, I think that as a take home for anyone listening to this, this is one of my decision making guidelines inside FrancisMarketing is every problem we run into is the system’s problem. As long as all team members are following all documented systems and procedures, decision making guidelines, et cetera, all problems that arise are viewed as system problems. Tim: And this is where you and I create activity as the business builder. Ultimately, the goal is to not have to be on the ship. We don’t even want to be building the ship, we want to be the architect drawing up the blueprints on shore. We can get on the ship if we want and go for a cruise, but ultimately we need to architect success, and I think that’s part of what I mean by viewing yourself differently. So I would never have thought of having two people do the same work side by side even if I have to pay them basically $15-20 an hour for one and $15-20 an hour for the other.0 They both take an hour to do it; it’s still only $40 an hour. I would never have thought of that. I’ll just do this myself, my former self. No, I said, “I’m not doing that any more. I’m going to architect a solution here. At first I need to pull on my creativity, talk to other entrepreneurs to see what they’re doing, and I ended up coming up with that myself, was just to take that approach.” So it’s always a system culture. Andrew: I feel guilty sometimes when I say, “I’m not going to do it, I’m going to have you do it.” I could basically spend 20 minutes, maybe even ten minutes looking for guests. I feel bad sometimes saying, “You know what? I’m not going to do it, you do it.” Do you ever feel that way? Tim: Part of my maturation process has been to really think about things differently, just as a business owner, I mean. You know, Andrew, you could probably like . . . Here’s the thing, I pay staff usually around $15 an hour to do a host of tasks which is more than India, but I want a team that’s going to grow with me. My number one staff is a mom. We have different goals. I’m going to grow a business like it’s going out of style. She wants to be a mom and stay at home and have job flexibility to watch the growth of her child. How almost arrogant of me to say her values are wrong. It’s arrogant for her to say too you’re values are wrong. That you don’t want to have kids, a ton of kids running around and business is bad. You know what I mean? No. Look we all make our decisions. She’s made hers. I’ve made mine. Andrew: I do. All right. I want to tell people about, Scott Edward Walker of Walker Corporate Law. Tim, when I do that I often get emails back from people saying, well, do you use him? Frankly, Mixergy is such a small business that I don’t need a lawyer, but a close family member of mine needed to start a software company with a co-founder. He said, how do I work out the situation where I’m not taking shares with the possibility that I can just run away and not do any work, and still own a piece of this business. The same thing doesn’t happen with my co-founder. How do I make sure that my business structure right from the start? He said, who do you recommend? I said, Scott Edward Walker. He said, really. He’s not just a sponsor? I said, no, he’s not. Try him. Call, Scott, and call two or three other people and see what feels right to you. He called me a couple of weeks ago and he said that he signed up with, Scott Edward Walker. They now have an agreement. I guess by now they must an agreement that allows them to both him and his co-founder to own business. That allows them to earn their piece of the business over time. That allows them to structure an agreement between the two of them that makes sense for them. It isn’t own of these cookie cutter solutions that works for all entrepreneurs supposedly kind of well, but one that works perfectly for them. It’s all because he just went to, Scott Edward Walker. What surprised me was that it wasn’t so much more expensive. It was a little more expensive than using one of these services that will just give you the cookie cutter solution. It was a little more expensive than using one of these non-lawyer services. For a little bit more you end up getting a lawyer with a customize solution and understanding of your need today. Because of that they now have a business that they can count on, and a relationship between the two of them that they just understand. They don’t have to keep worrying about it. It’s all because they called up, Scott Edward Walker of Walker Corporate Law. They worked directly with his firm and with, Scott. You can too. I recommend it too. I’ve used, Scott, frankly, for myself. It’s a pretty small company without co-founders. I’ve recommended it to people who are building bigger software companies. We’ve all had good results by just going to, Scott Edward Walker. Here’s the website. Go to, walkercorporatelaw.com. Really, it’s not that much more expensive. It’s not a big hassle. It’s something that, Scott, does often enough that he can anticipate the problems that you have, and can understand how to get you the solutions you need. Go to, walkercorporate.com. You keep saying, Tim, that we should talk about the way you hire people who can do all this. What’s your process for hiring people? Tim: Yeah, I realize you’re getting short on time. A resource I’ll throw out there. People want to have a cheat sheet and a quick explanation is . . . so many people ask me about this, Andrew, that I just put it together at, smoothonlinesystems.com. It’s not my main business. It’s just sitting there, smoothonlinesystems.com. Andrew: I’m on it now, yes. Tim: What I do when I hire is I will write a job description. In that job description the subject line of the job description is, slightly O.C.D., tech comfortable mom sought for growing marketing company. Now, I say the word mom for a reason. I’ll explain in a moment. First, the job description then goes on to say, describe a little bit about me, about the company, the opportunity that they have to work for, Tim Francis Marketing. I ask them to submit a response to jobs at, timfrancismarketing.com. Not any other email address. Not my personal email address. Not my assistants address, but specifically jobs at. Then, I ask them to follow a specific format in the email itself. First paragraph is supposed to be in blue font, career, 14 point. The next paragraph red times 11 point. There’s a whole bunch of stipulations, as far as, exactly what I want that email to look like. Because here’s the thing. I want people who have strong attention to detail to work for me. Five years ago, when I started hiring people to work for me, I got this flood of applications. I could have literally hit refresh on my inbox every probably 10-15 minutes and seen a new application. It’s unbelievable the number of people that are looking for virtual type work. It was not a working system to hire that way. So I created this process and ever since I’ve done that, the number of applications I’ve gotten has probably dropped by 95-97 percent, and the quality has been through the roof. The 3-5 people who will still apply are all all-stars. So, the exact wording, the template that I use to post into different job forums is the [SP] sweetonlinesystems.com cheat sheet. It says you can just copy and paste if you want. And I’ve also, this is the website I found that has just been miraculous for me is hiremymom.com. Now, you might be a little tongue-in-cheek about that, but the reason that I’ve loved them so much is, there’s just a couple quick reasons. Number 1 is, they’re all US and Canada-based, they are all excellent in English, written and spoken, they are all, generally speaking, formerly corporate-type moms who’ve now had a baby, and so they have amazing skills. They just want the flexibility of working from home. So I pay them more than I would somebody overseas and I save the money and save time, fewer errors, all of these things. They’re able to write procedures as well, because they’re strong in English and with business writing and everything. So, there’s a lot more reasons, actually Lesley from hiremymom.com just published an article on hiremymom.com that I wrote, which is interesting. Then I also explain in the sweetonlinesystems.com webinar, it’s a three 90 minute webinar, training session, the other reasons why I like hiremymom.com. So, it’s there. Andrew: So you go to hiremymom. What do you pay for a virtual assistant, someone who’s going to follow your processes and load up your emails into Infusionsoft, create the event RSVP page? What do you pay for that? Tim: I’m paying $15.00 an hour. In the very beginning, anyone you hire is not worth what you’re paying them, even if it’s $5.00 an hour, because they just aren’t delivering that much value to you. But, over time as your staff gets better and better, they’re bringing more and more value. So, I pay $15.00 an hour because it’s higher than the average $5-10.00 an hour. It encourages someone to stay with me. I used to think of VAs as adding machines, where they’re just like not even human beings. They were just mashing keys at somewhere, and they were just disposable because there’s another 50 waiting behind them. Now I think of virtual assistants as teammates. The better they get, the less I have to babysit them. The more they know my decision-making guidelines, the more they know what procedures, what number, the faster they get. It is an amazing investment and I want my VAs to stay with me for years. As they get better and faster, so too does my entire machine. Andrew: Why do you ask them to write an email to you in multiple colors? What’s the color thing about? Tim: Necessarily, for someone to be successful at following procedures and following the TimFrancis machine, they need to have good attention to detail. If you are ever asking, you’ve got two options, and it all falls around actions speak louder than words. If I say to someone, do you have good attention to detail, 100 percent of people are going to say yes. If, instead, I ask someone to demonstrate their ability to have attention to detail, then the real rubber hits the road. So, by asking someone to follow all these written instructions in the email they send me, they’re demonstrating whether they do or they don’t have good attention to detail. And, one of the points is, I have them write a specific subject line “Slightly OCD tech-savvy mom from interested in marketing job.” And if they miss one character, off of that, we don’t even open the email, we just delete it. Andrew: You mean automated. You have an automated system. Andrew: No. Now my assistant, who I found through hiremymom has helped me hire more assistants because she knows if that subject line is off by a character, delete it. If it’s bang on, then open it. If the red paragraph is blue, delete them. If it’s . . .
Andrew: What kind of things do you have these . . . [hire my mom] virtual assistants do for you that you need so many? Tim: I don’t have that many assistants and the tasks they range wide. I mean, we create reports for clients bi-weekly for our marketing clients. She confirms the hotel when I go to speak. It’s like the more than you can offload the better. I even, Andrew, like in my personal life I host dinner parties at my house every two weeks. We’re talking like nice linen napkins folded into pyramids and everything perfect. You know, two glasses, all the stuff covering everything and I have to organize that because you know what? The world doesn’t care if it’s an hour of business or personal. An hour, 60 minutes is 60 minutes. So if I can free up an hour of coordinating my friends to come over for a dinner party, if she can organize a kid to mow my lawn for 15 bucks. If she can take care of all that, then that’s more time for me, like living . . .
Andrew: Do you have a process for that? Hiring a kid to mow your lawn? Tim: Even better, I live in a condo and I bought a condo specifically so that the management company wouldn’t have to do it. Tim: So we let demand drive decision making and so originally I gave her a list of 80 people. Here’s some friends. Just keep going down the list until you’ve got eight people for each and just keep doing down the list. And then we realized that’s a bit of a problem because my Crossfit friends may not have a good time hanging out with my dance friends, with my business friends. So we separated them into different groups and then she goes and does that. Andrew: Gotcha. And so now I see. So you wait to see what the problem is, and then you structure a solution for it. Andrew: A system for making systems. Can you describe that a little bit? Tim: I can. This document is worth at least ten grand minimum. It is something that is a hard system. There’s a handful of probably six or seven procedures I recommend anybody who’s getting into building systems. They create this handful, and if that is again (?) .com I list the procedures I proceeded to make. The King Kong of them all is that procedure of making procedures. Your staff needs to know what are we allowed to use? What tools, right? So in this case, like I said, James (?) Google Docs (?). They need to know what a successful procedure looks like. They need to know what kind of procedure types are there because we’ve got it step by step. And we’ve also got decision making guideline based. They need to know that they can mix the two of them. So, I mean, Andrew, afterwards I can show it to you, the whole thing. I know it’s running out of time here. Andrew: Actually show me the whole thing. Andrew: You can just show me the whole thing just by doing the screen share on Skype, that kind of thing. Tim: You want me to do it right now? Andrew: I wonder if that’ll work. You know what? Why don’t we give it a shot? Why don’t we try it? I don’t know. Skype can be so weird at times. It may or may not work. If for some reason it works, we’ll put it on at the end. If it doesn’t work, people can come . . . In fact, both ways. They should just go check out SmoothOnlineSystems.com. You know what? I clicked the link on SmoothOnlineSystems.com and I got a link to book a call with you. I don’t see products where you are selling anything. I do see the ability to talk with you. What’s the call here with SmoothOnlineSystems? Tim: Okay. Sorry. I’m just pulling up the procedure right here. Okay. Andrew: Will you show it to me once before you even show your screen? Andrew: SmoothOnlineSystems, what is this because I know that’s not your main business. I know your main business is training offline brick and mortar type entrepreneurs, not training them actually. Getting hired by them to do their marketing for them. Andrew: So how does SmoothOnlineSystems fit in with that? Tim: SmoothOnlineSystems.com. When I open up SmoothOnlineSystems.com I see a sales page that says learn to systemize your business through crash courses is what I’m seeing. I’m not sure what you’re seeing, but . . . So basically what’s happened is I had my main business. The success of it has gotten out as far as how I was able to systemize things. (?) found out and Sam gave me an awesome testimonial, and now a lot of people have been asking me for it, for help. And the thing is I just don’t have the time to sit down with every new entrepreneur, every experienced entrepreneur unless they have a lot of money to pay me. So I’m flying to Colorado I had two different meetings with entrepreneurs. One guy owns like a massive mine, and another guy, they’re doing many millions in real estate. They want help with this, and they’re going to pay in the tens of thousands of dollars to guide them through it. Tim: Now, Andrew, I wouldn’t be able to do those big, big contracts if I was sitting giving advice to every single person who had 20 bucks to give me. So instead I’ve started creating this free cash course where I can just send people here, my assistant, Sarah, can send people here, and I can still help people. I can help people tremendously without having to be there. So . . .
Andrew: Got you. But then people who can pay the $10,000 have a way of connecting with you and getting much more than this. Andrew: I see. Okay. And they have sampled your work before. I was trying to figure out how that fits into everything else that I’ve done, everything else that I’ve researched about you. One final question before we try doing the screen share and that is what kind of revenue? Now that you’ve systemized, what kind of revenue are you bringing in? Tim: Yep, as soon as a private company and generally I do not discuss it too much, but everyone on the call can take confidence knowing that we’re well into six figures now, not $101,000, okay? We’re well into six figures, and it’s been incredible. If all you think about is finding that 80/20 curve and just 80/20 inside of the 80/20. So at first I just got rid of the low end tasks, not as far as dollar value per hour task, calling people, booking talks, booking friends to come to dinner parties, whatever. I got all that off just so I could focus on copyrighting, strategy, consulting with clients, but now we’re on the second round or probably third round of 80/20 where now I’m even with copyrighting enough giving that away and I’m focusing more on strategy and consulting and building systems. So from there I’ll go another 80/20 beyond that. So really just think about, how can I climb out of that 80/20? Andrew: Here’s what I’ve got. One of the people who I hired to work with me at Mixergy wrote this down. He said me, “What are you trying to do?” And I said, “Just want to do the on-camera work here at Mixergy, and I want to think about the vision, where the business is going. And so he wrote this down. He wants me to ask these two questions of everything I do. Does it relate to performance? Does it relate to the vision? And if not, just outsource it or stop doing it. He handed this to me about maybe a year ago at this point, and usually when I have stuff on my desk I toss it because I like to clean my desk at home and store it away, but this I kept. And anything to do with the vision or performance I want to do everything else. I want to systemize and hand it over to someone else or just eliminate it, just like you said. All right. This has worked for me. It’s worked for you. In a moment we’re going to hopefully see a screen share, just give me one moment. If it doesn’t work, you guys can just go over to . . . In fact, both ways check out Smooth Online Systems but thank you all for being a part of it. Let’s test this out right now. Tim: Okay. So this right here is my S002 creating and modifying procedures. Tim: Okay? And Google Docs is just awesome. You can actually set, put a table on (?) here and click. You’ll just skip down to the different sections. When you’ve got a long procedure like this it really helps. So we’ve got stuff here naming the procedures, like I said, S, T, and R. We’ve got a unique three digit number for everything. So we create that label. So this is S002. Andrew: Tim, already this feels very overwhelming. People are actually reading this whole thing before they get started, before they create a procedure? Andrew: What don’t they just look for the part, skim until they find the parts that are relevant to them? Tim: Yes. So because they think of my staff as people who are going to be a part of my team for a long time, this is just part of training. Like any other job that they would go into, you go through a week of training or whatever and nobody’s ever going to learn something the first time. So it’s going to be a bit of a mentoring coaching process or whatever. But now I just tell my main assistant, I say, “Based on what we talked about today, keep the procedure to invoice clients or how to refund clients or something like that.” And she said, “Sure.” And that’s it. I can text her, and she can build things out because she follows this right here. Andrew: Gotcha. It’s not that you hand it her and you abdicate and you say “go do it”. You train her using this document so she’s familiar and understands your process. Tim: This is by far the biggest, most “overwhelming”, if you want to call it that, procedure in everything that we do. So this is not what my whole business looks like. This is just this one procedure because it is so integral to everything. Andrew: You’ve got the procedure layout with the header at the top, the title, purpose, okay. When not to create a procedure. Okay? We’ve been using this version since this date. The status is live. Okay? You want to have one person at the top here who is responsible, because if even two people are in there proceeding in editing a procedure, it gets messy. You don’t know who did what even if you do tr- . . .
Andrew: Okay. So I see. You want to make sure that you have one person approve it so that it’s organized and not a clutter of conversations all in one doc. Tim: Yeah. I mean, people can leave comments, but ultimately, like let’s say that you’re creating a procedure in Mixergy, April might have something to say about it, you might have something to say about it, Joe may have something to say about it. And so everyone may be collaborating on it, but it doesn’t officially get released, or the new version of the procedure doesn’t get released until the editor, this person at the top, and you can put editor, approved by . . .
Tim: . . . as giving the stamp of approval and send it out. Tim: Okay? And then the date is just really helpful to know what edition are we on. Because sometimes people will print out these procedures. I know, Sarah on my team will print out some of the procedures and she’ll put them next to her computer on the wall. Like, whatever, I’m not going to tell her what she can or can’t do as far as that. Having this date let us know if she’s using the most recent version. Tim: Okay? So we’ve looked at some of this. How to write it on the screens that it’s consistent. We know where to find information. When to change your procedure. Okay? When you’re changing a procedure, you want to make a note in Tmark PM that we’re working on that procedure. You know open the procedure in Google docs. Any changes that you make, highlight in yellow, so that when we’re collaborating, we know what part to look it. And especially with a long procedure, you’re not going to spend, like, 20 minutes trying to figure out what change has happened. No, no, no. It’s in bright yellow so you know, Andrew changed this. Tim: Or don’t change that. Right? And here’s the highlighter tool. When you create a new procedure, how to think about it. When to not create a procedure. We talked about eliminate, automate, delegate here. The best procedure is the one we don’t write because it’s unnecessary. I can thank Sam for that. Just other guidelines. You may want to read through to actually see one. When people do high end consulting with me, I actually copy and paste this document. I give them full access to it. So every procedure has only one editor and many readers which is what I just explained. So that’s included here. There’s some objections sometimes. People say, oh, the procedures kill creativity. Andrew: I used to think that. Tim: Yup. And so I explain right here. And because this is also a training tool how it actually enhances creativity. Think of places with no structure. For example, the roads in a Pakistani village where nobody gets anywhere but just honks at everyone and cusses at each other. That’s disorganization. I’m in Los Angeles today, the freeway system very smooth. Okay. Maybe not at rush hour. But, you know, that’s the difference. And just a reminder that if a procedure has got problems, we instantly adjust the procedure. We do not skip it or any of its steps. Right. Andrew: Do you ever find that procedures that are used over and over again stop getting used and become stale as the person who does it starts to come up with a solution ad hoc and then remembers a solution they came up with, and forget to document it and there’s no way to know that we haven’t documented the change. Tim: This is a key thing that I think about is at the end of the day, Andrew, this is not about creating procedures because I’m in the business of creating procedures. Okay. Problems will just show themselves. So if I have one staff and they’re the only person doing this particular task and they happen to start creating ad hoc steps or skipping whatever, but they can get the job done, then great. You know. There’s no way for me to find out otherwise. Okay. Short of two things which I’ll explain in a moment. The second that I put a second person in that role, and we have the first person train the second one or just give them all the same procedures and we start getting a different result, then it’s just going to reveal itself. So it’s not about being able to predict the future, it’s about being ready to just accept the fact we can’t control everything and just be responsive. Now the second thing that we do is, depending on your business, you’ll do it at a different frequency, but we’ll actually do like a clean-up process where a recorder, twice a year or once a year we will go through procedures and I’ll have, in my case Sara, go through, for example, the marketing launch procedures. We may go through that together, depending on what it is, just to go through and be like: ‘hey, have you thought of a better way to do this?’ ‘Are there any things that you’ve been doing that like you say are not included in the procedure’? Interviewer: So every procedure, at least a couple of time a year, has gone over and again and questioned and made sure that it’s up to date. Tim: Again, because I know there’ going to be some analytical people watching this, you don’t want to spend your life running your business. It’s kind of an 80/20. If, as your business gets bigger and maybe your business is at this point Andrew, one person should probably never have more than 20 to 30 procedures to deal with. So it’s not like you have to go through 100 procedures with them. Even in a smaller business where you have fewer VA’s working on a wider list of procedures, if you don’t scrub every single procedure then just 80/20 it. For me such much a part of this is changing how I think, just letting go a little bit. Being OK with mistakes, they’re going to happen. Andrew: Yes. Right, this has been really helpful. I really get a lot of actually seeing the process for myself. I want to suggest to anyone who has gotten anything out of this, who wants to follow up, I should tell you we have a good 5-7 interviews and courses with entrepreneurs who have taught me how to create my systems, who I’ve learned from and have used their systems to do these interviews and to grow my business. One of the people whom I recommend you go and check out as a follow-up to this interview is Sam Carpenter. It is a great interview. 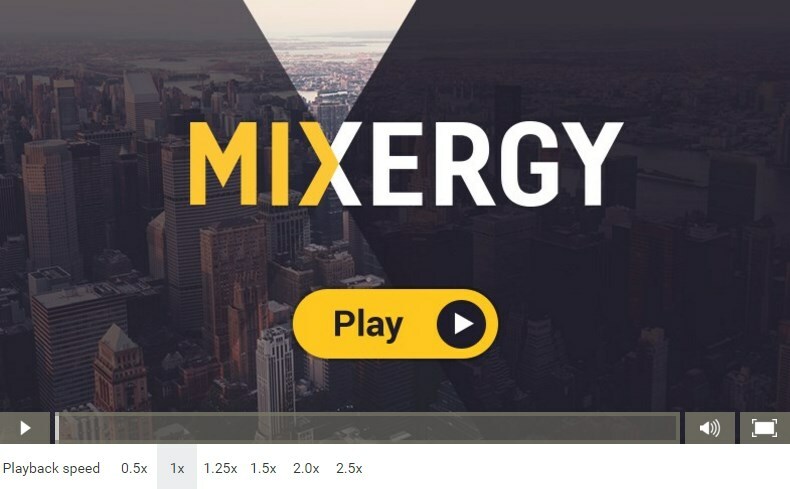 He is the person who introduced me to Tim and I urge you to sign up to mixergpremium.com Then jump right in and listen to Sam Carpenter talk about how to create systems, give you an overview of this process. It’s a good follow-up to the conversation you’ve just heard today. If you want to check out Tim’s site, the best one to give people I think is smoothonlinesystems.com. Also, the main business is timfrancismarketing.com. Tim, thank you so much for doing this. Everyone else, thank you for being a part of it. Bye guys. Walker Corporate Law – Scott Edward Walker is the lawyer entrepreneurs turn to when they want to raise money or sell their companies, but if you’re just getting started, his firm will help you launch properly. Watch this video to learn about him. Who should we feature on Mixergy? Let us know who you think would make a great interviewee. Thanks for liking this post. If you're a premium member, you can save your likes. Login or become a premium member. Where should I email this interview?